On the other hand it may portend a season like the Lou-managed Mariners in 2001 who rolled in the regular season (116 wins) and rolled over in the post season. That would be ok for me. Or maybe the Evil Ones will just collapse this season in a dust kicking, spittle spewing, base tossing, hair smelling heap. That would be even better. I gotta say, that’s a helluva card, and one I’m not familiar with. 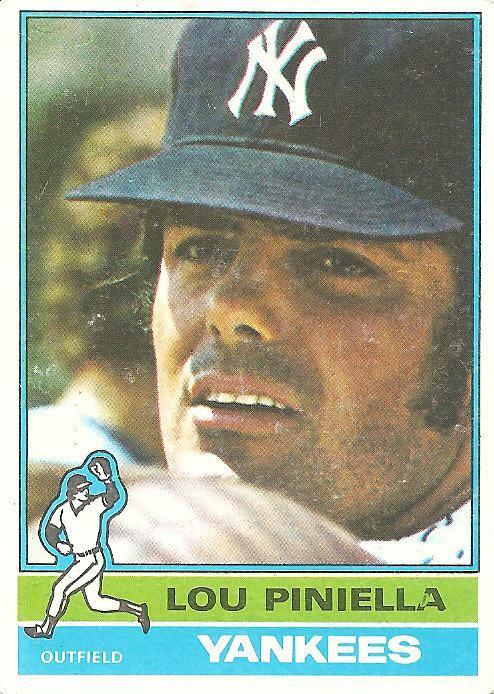 There’s a vitality to it, a suggestion that something important has just occurred within Piniella’s field of vision that we’re not privy to. That, along with the imprecise framing, gives the card the feel of a unexpectedly captured moment. But then, I like Lou, always have.